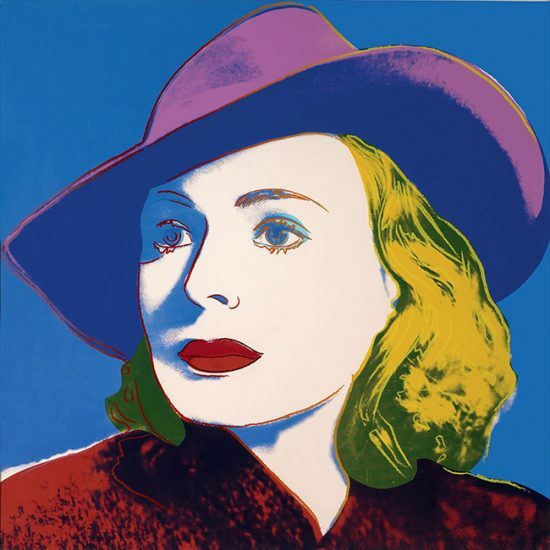 Andy Warhol's Pop Art legacy continues to inspire various forms of contemporary aesthetic expression. 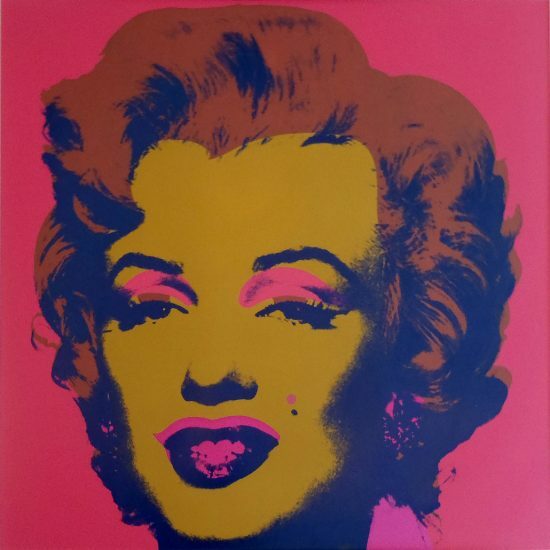 Our collection of hand-signed Warhol screen prints includes pop art subjects of Flowers, Marilyn Monroe, Mao, Cow, and Campbell's Soup, and are of higher collectible value due to their distinct color variations and one-of-a-kind nature. Sell Andy Warhol artwork with us. We will research its value and popularity for you. 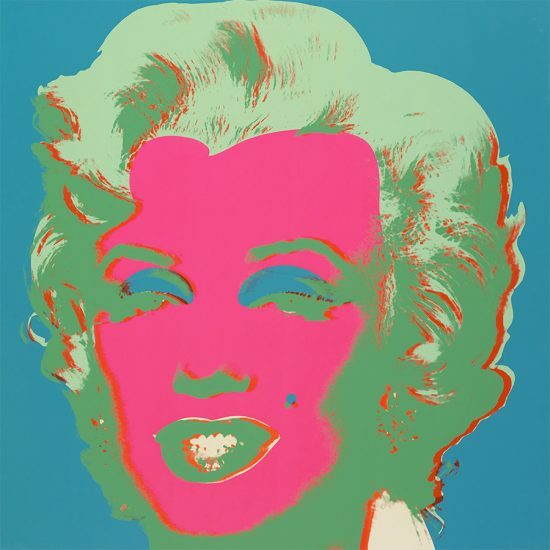 Browse Andy Warhol Catalogue Raisonnés Online. 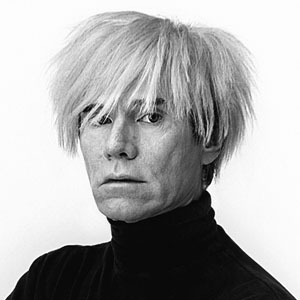 The American artist and filmmaker Andy Warhol was born Andrew Warhola in 1928. There has for years been quite a bit of confusion to where and when Andy Warhol was born, but according to Andy’s two older brothers and the birth certificate that was filed in Pittsburgh in 1945, he was born on August 6th in Pittsburgh. Whether or not this is the day he was born hasn’t been proved, but it was on this date he would celebrate his birthday. However, there is no doubt that he died at 6:31 A.M. on Sunday, February 22nd, 1987, at the New York Hospital after a gallbladder operation. He is considered a founder and major figure of the POP ART movement. A graduate of the Carnegie Institute of Technology in 1949, he moved to New York City and gained success as a commercial artist. He got his first break in August 1949, when Glamour Magazine wanted him to illustrate a feature entitled “Success is a Job in New York”. But by accident the credit read “Drawings by Andy Warhol” and that’s how Andy dropped the “a” in his last name. He continued doing ads and illustrations and by 1955 he was the most successful and imitated commercial artist in New York. In 1960 he produced the first of his paintings depicting enlarged comic strip images – such as Popeye and Superman – initially for use in a window display. Warhol pioneered the development of the process whereby an enlarged photographic image is transferred to a silk screen that is then placed on a canvas and inked from the back. 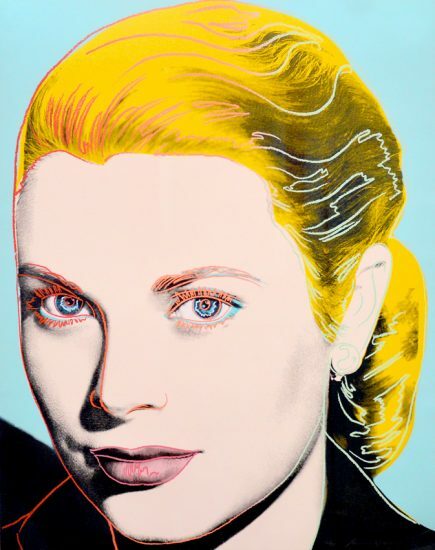 Each Warhol silkscreen used this technique that enabled him to produce the series of mass-media images – repetitive, yet with slight variations – that he began in 1962. 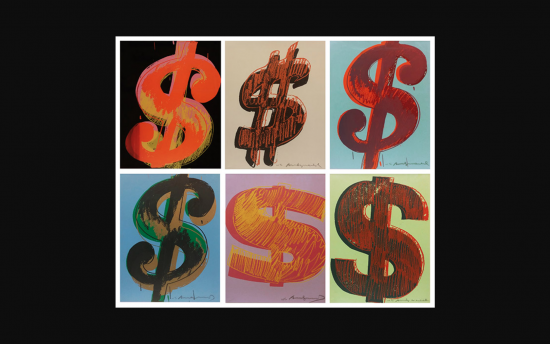 These iconic Andy Warhol prints, incorporating such items as Campbell’s Soup cans, dollar bills, Coca-Cola bottles, and the faces of celebrities, can be taken as comments on the banality, harshness, and ambiguity of American culture. Later in the 1960s, Warhol made a series of experimental films dealing with such ideas as time, boredom, and repetition; they include Sleep (1963), Empire (1964), and The Chelsea Girls (1966). In 1965 he started working with a rockband called “The Velvet Underground” formed by Lou Reed and John Cale. Andy introduced them to the model and moviestar Nico and she sang on their debut album from 1967 “The Velvet Underground and Nico”. Andy would travel around the country, not only with The Velvets, but also with superstar of the year Edie Sedgwick and the lightshow “The Exploding Plastic Inevitable”. On June 3rd, 1968, Valerie Solanis, a rejected superstar, came into The Factory and shot Andy three times in the chest. He was rushed to hospital where he was pronounced dead, but after having his chest cut up and been given heart massage, he survived. Valerie Solanis turned herself in that night and was put in a mental institution. She was later given a three year prison sentence. After recovering Andy Warhol continued to work. He founded inter/VIEW magazine in 1969 (they changed the name to Interview in 1971), published The Philosophy of Andy Warhol: From A to B and Back Again in 1975 and continued to paint portraits until his death in 1987. If you enjoy Andy Warhol prints, you may also be interested in contemporary Calder lithographs. Though best known for his silkscreens and paintings, Warhol became a passionate photographer later in his life. He carried a camera with him at all times, capturing everything from personal friends to iconic celebrities. The photographs signified his apathy towards social hierarchy and also ranged from black and white 35 mm portraits to Polaroid shots. He approached photography in two ways. In one instance, he created over 500 ‘stitched’ photographs which feature identical images sewn together in a grid form. This was a clear demonstration of his interest in repeated imagery. In another instance, he would only choose a single photo from a set to become a print. The singularity of these works shows a clear separation from Warhol’s typical themes of mass production and repetition. Therefore, photography provided Warhol opportunities to showcase both his private self and his public artistic identity. Of his silkscreens, Warhol has said “the reason I’m painting this way is that I want to be a machine, and I feel that whatever I do and do machine-like is what I want to do.” Indeed, machine-like precision and mimicry appear repeatedly in works of this medium. The screenprinting process was a variation of stenciling. Warhol had a streamlined process in producing silk screen prints. First, he laid a photograph on to the mesh of a silk screen. Afterwards, he passed an ink-covered squeegee over the mesh. The ink would pass through the mesh and impress a print of the image onto the canvas underneath. The choice of ink depended on the intended composition of the final product. 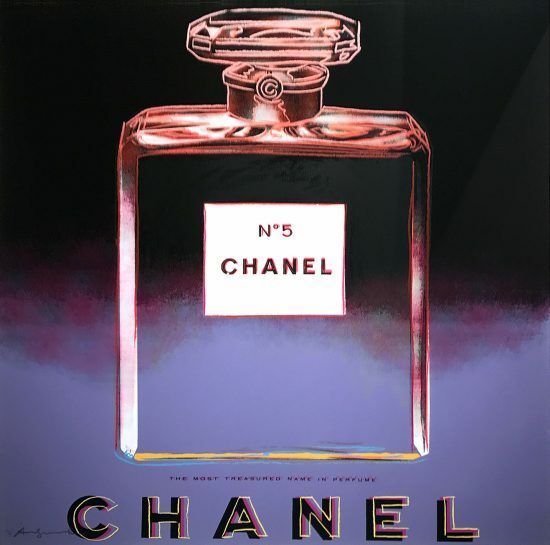 Warhol was able to apply multiple colors to create a layering effect, thus a different color composition could be made each time. 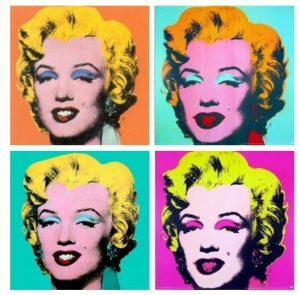 He used a variety of canvases and papers.Warhol’s best known silk screen prints include his iconic portfolio of Marilyn Monroe: Marilyn Monroe (Marilyn), 1967 and Elizabeth Taylor (Colored Liz), 1963. Producing art in a systematic manner similar to an assembly line, Warhol gave rise to series or portfolios of his beloved celebrities. Even today, these massively recognizable images serve as a beacon of popular culture. Warhol’s range as an artist certainly shows in his sculptures and installations. Similar to his other works, his sculptures replicated commercial symbols and ideologies. Of this medium the best known were the series of “grocery carton” works which replicated Heinz Ketchup and Campbell’s tomato juice cans. His best known sculpture from this series is probably his Brillo Boxes,1964. As the name suggests, Warhol applied silkscreened logos of the consumer product onto plywood boxes. The resulting appearance was identical to the logoed boxes often see in supermarkets. These sculptures were first exhibited at the Stable Gallery in 1964 and called to question what can be considered as fine art. When asked about these boxes, Warhol expressed he “wanted something ordinary”. Overall, his sculptural works centered on Warhol’s beloved premise of commercialization.